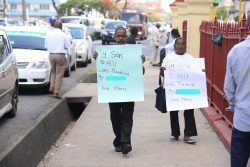 Minister of Business, Dominic Gaskin on Thursday morning stepped out of his office to meet store owners and vendors plying their trade along Regent Street in Georgetown. 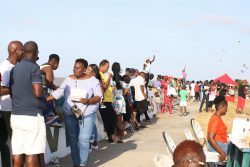 According to the Department of Public Information (DPI), during his walkabout, Gaskin engaged and interacted with several small vendors lining the street. 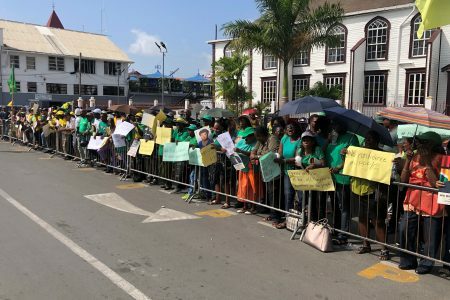 The Business Minister told DPI the walkabout is an annual activity which allows him to have a hands-on experience of the sights and sounds of ever-busy Regent Street during the Christmas season. 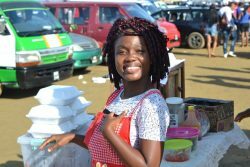 Gaskin said that from his observations and the disclosures of the store owners he met with, sales are better compared to 2017. 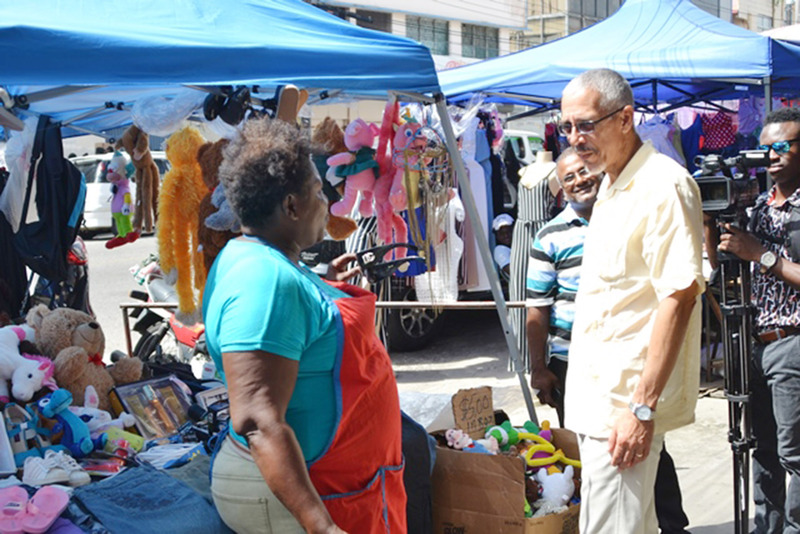 In this DPI photo, Minister of Business Dominic Gaskin (right) interacts with a vendor.